We’re starting out the new year with a fantastic LEED GOLD penthouse project in a new construction residential building in the Flatiron District. One would think a new construction project would be fairly straight forward and simple – but it’s actually not. Developers design these buildings so they can make fast money, and don’t always take in to consideration the real users of the space. While wowing you with high end appliances and modern amenities, sometimes things like lighting and AV could be left up to the new owner. 1. Is there accommodation for lighting in the ceiling? This seems like a no-brainer, but in NYC it’s all about square footage. New construction is usually concrete slab and the floor to floor heights are often as tight as possible so the developer can squeeze more units out of a lot. By not dropping portions of the ceiling to add electrical, plumbing and HVAC, they can give the new owner a higher ceiling height, but sometimes no accommodation for lighting! The new owner won’t be able to add it in later either, because making modifications in the slab could compromise it’s structural stability. Make sure your new home at least has junction boxes in the ceiling to accommodate lighting where you need it. 2. What is the ceiling height? It seems like it might be assumed, but sometimes the developer can’t answer this question until the concrete is actually poured, as site conditions can vary. Make sure you know upfront you’re not going to have 8′ ceilings (perfectly legal) in your 9 million $$ apartment. Make sure your ceilings equal your investment! 3. What are the window treatments? In NYC’s new glass boxes it’s important to be able to control glare and offer privacy. Most of our client’s prefer some kind of automated system they can control remotely. If electrical accommodations aren’t designed into the walls, you’ll be ripping apart your brand new home to install the wiring for these. Make sure you can control those spectacular views. 4. Is there enough storage? While the square footage might be generous, make sure the closet space will function for your personal needs. Some buildings offer additional storage space and in others you must accommodate inside your unit. 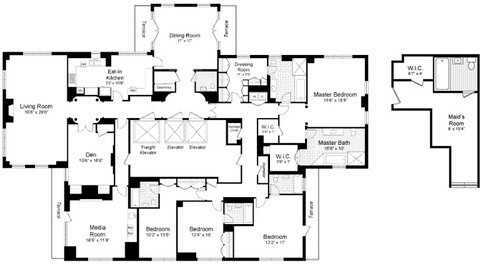 This floor plan looks great, but some bedrooms don’t have closets. 5. Will my furniture fit? I always recommend our clients have us “test-fit” the space to scale with furniture. 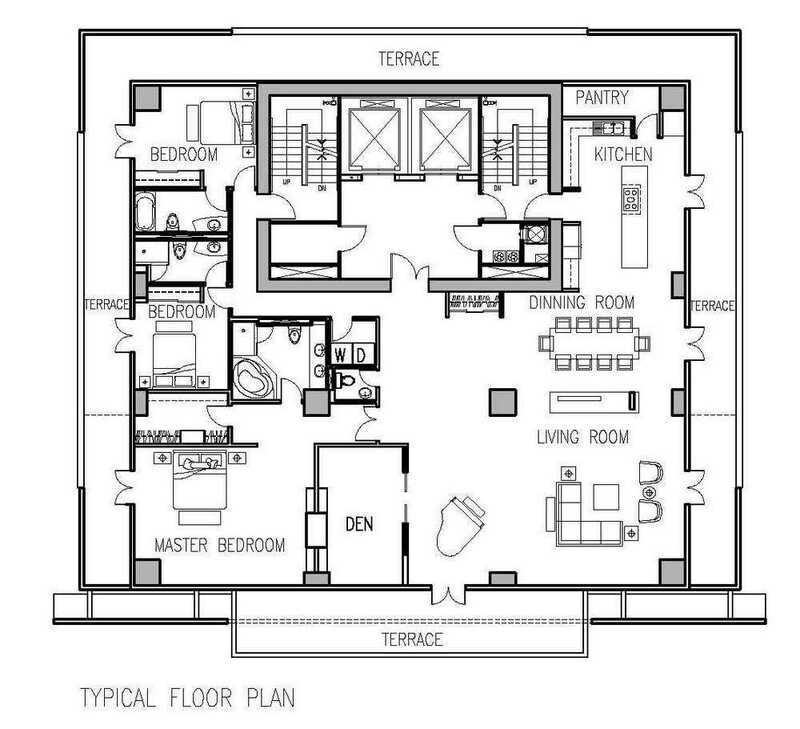 Some NYC developers have even been known to show “beds” on their floor plans that aren’t even true to size! Before you plunk down a mint on your new pad, make sure your $30,000.00 Hastens bed will actually fit in the Master Suite. Make sure your furniture will fit. 6. Where are the electrical outlets? Often times new construction buildings place electrical outlets per the electrical code, and not necessarily where you will need them. If you want a TV in your bedroom, make sure there is a cable or internet connection in the right place. If you want lamps on either side of your bed, make sure you don’t have to run an extension cord to place them there. Make sure your new home will accommodate your electronics. 7. How is the ventilation handled? New construction in Manhattan often has an open plan layout where the Kitchen is part of a large open Living Space. Make sure your cooker is ventilated to the outdoors. 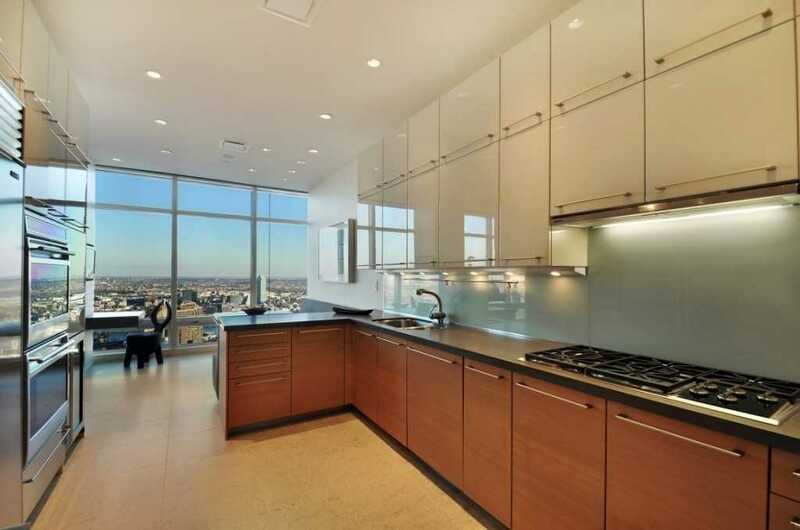 NYC code requires only a window in a Kitchen for ventilation. . Unless you want your sofa to smell like burnt popcorn, ventilation to the outside is something you definitely want in your Kitchen. Make sure the open Kitchen doesn’t become too much of an integral part of your home! 8. What are the actual finishes? Those pretty renderings might not show the actual materials and finishes specified for the apartment. Make sure you go and see a model of your apartment complete with finishes, fixtures, fittings and lighting. Your broker should be able to provide you with materials samples if there is no model. Don’t let a realistic rendering trick you into thinking it’s reality. 9. Is it a build-out or just a shell? Some of Manhattan’s higher end buildings sell you the shell space only. This means you’re entirely responsible for the interiors, including the Kitchens and Bathrooms. 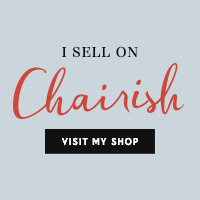 We prefer this, as we can help you to design the space to your particular taste. That being said, make sure you understand upfront what you’re getting and allow yourself reasonable time for design or your actual move in date could be much later than you expected. Fifteen Central Park West – built to be completely customized. 10. Give yourself an out. Often times you’ll enter contract on new construction long before the space is built. Make sure you have an out if indeed the space doesn’t deliver what was promised. Keep in mind most of the time you’ll get even more than what you expected. Ask the right questions up front and you won’t have surprises on down the road! Kati Curtis Design can help you during the initial planning phase. We can provide test-fits, pre-design and programming services to make certain your new space will deliver! It’s also good to allow at least 1 year before you’ll have occupancy to start designing the interiors. Sounds simple, but you’d be surprised how often new buildings in NYC provide you with a flat concrete ceiling only!